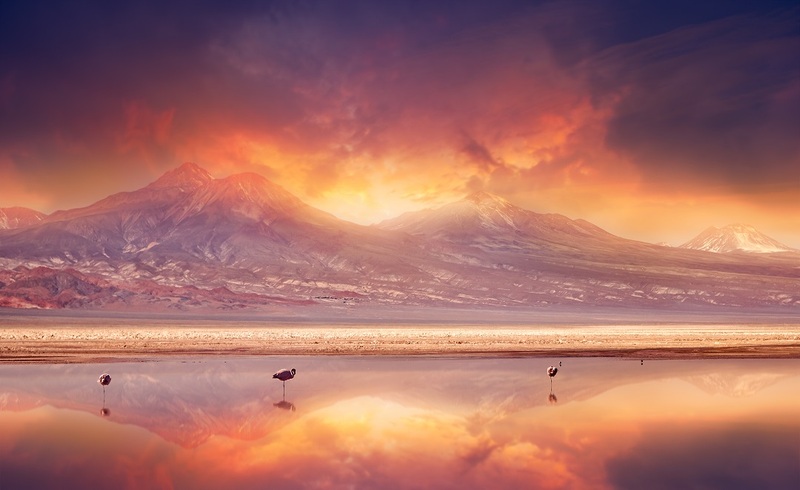 The Atacama Desert is a highlight of many holidays to Chile, stretching 600 miles from the Pacific Coast to the Andes Mountains. 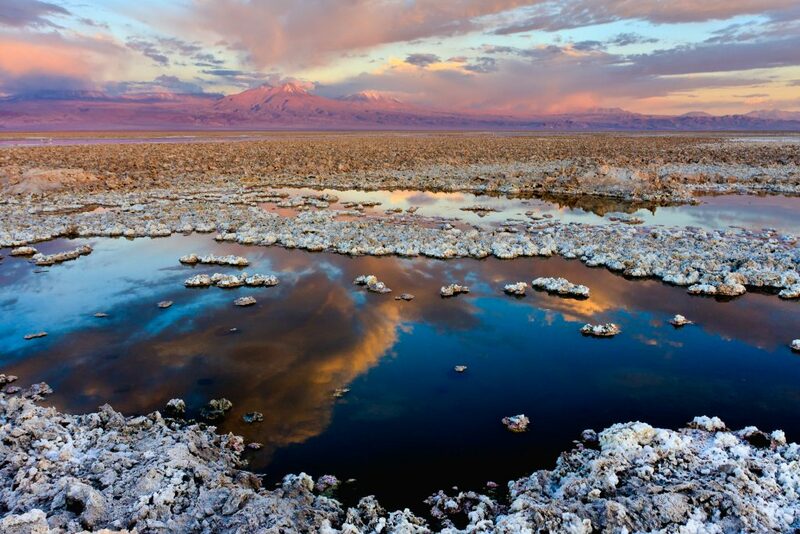 Although it is often referred to as the driest desert on Earth, you can also visit beautiful lagoons, hot springs and geysers, as well as fascinating rock formations, salt lakes and impressive volcanoes on our Atacama tours. 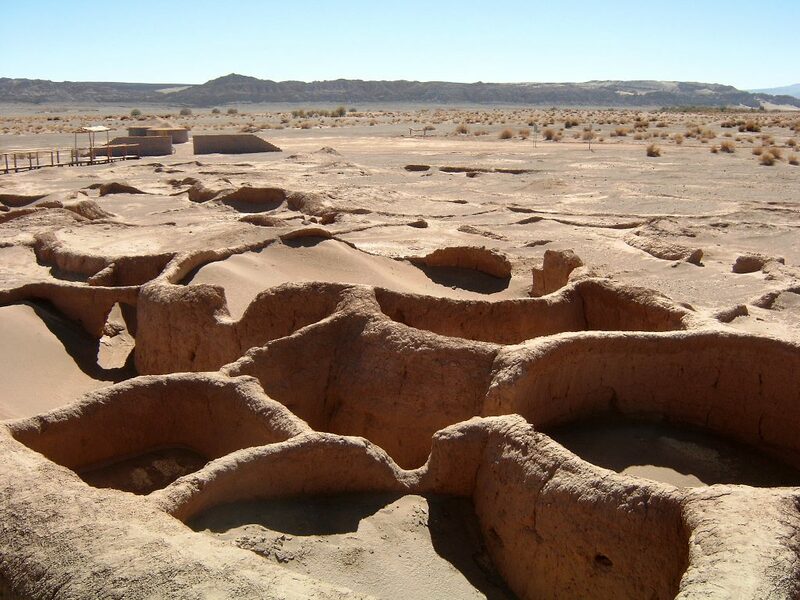 There’s a lot to be explored here, and most tourists choose San Pedro de Atacama as their base. The town is truly unique, and is an attraction in its own right, but there are also countless tours on offer which allow to you to see the best of the magnificent Atacama Desert. Atacama’s salt flat is the third largest in the world, and sits at 2,300 meters above sea level. The Death and Moon Valleys are fascinating landscapes of bizarre rock formations, and are particularly impressive at sunset. 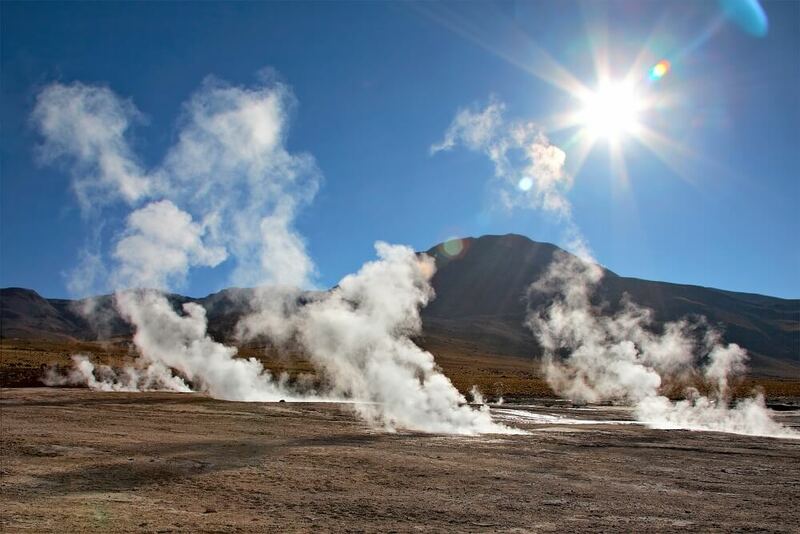 El Tatio is the highest geyser field in the world at over 4,300m. It has over 80 active geysers and the biggest one shoots clouds of steam over 6m high! 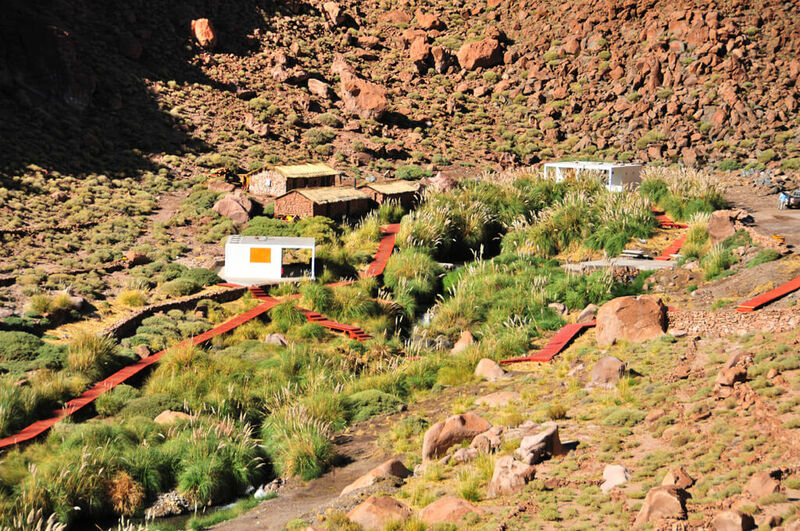 Puritama hot springs consists of 8 geothermal pools in the middle of the desert. 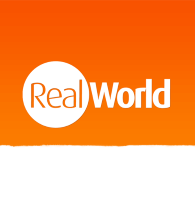 It is a good place to relax after visiting El Tatio. The village of Tocanoa and the pre-Colombian ruins of Tulor (pictured) are a great tour option to see more than just the beautiful landscapes of Atacama. 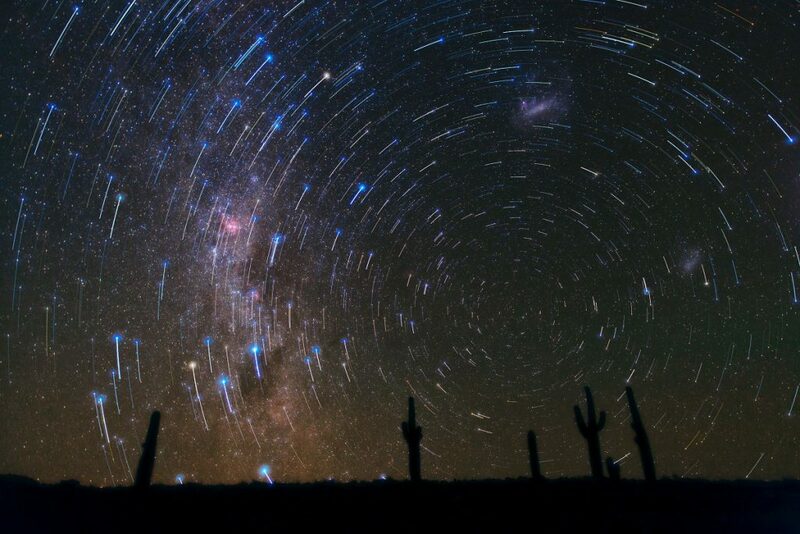 The Atacama Desert is on of the best places on Earth to stargaze, as the night skies are not polluted by light, and the altitude makes for a clearer, brighter view. If you’re going to do one hot air balloon ride in your life do it in San Pedro! The Moon Valley (pictured) is particularly impressive from a birds eye perspective. 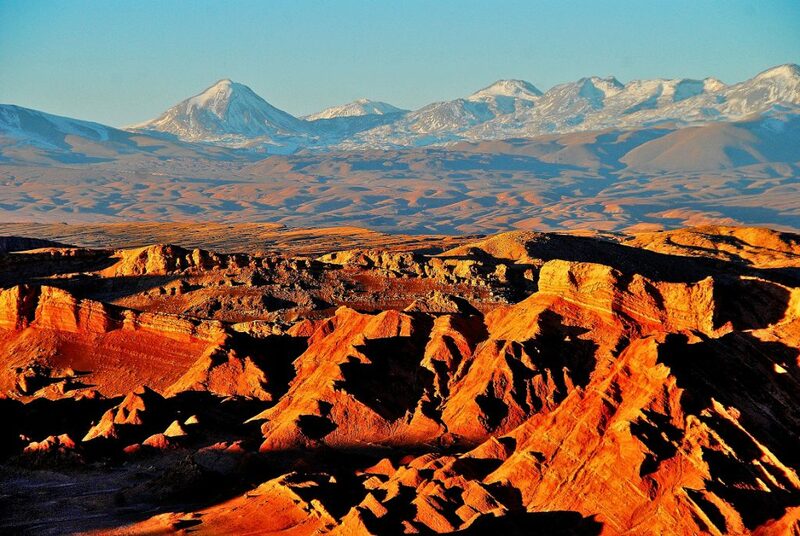 A tour to Los Flamencos National Reserve will allow you to experience the diversity of the Atacama Desert, taking in a number of completely different landscapes in one day. 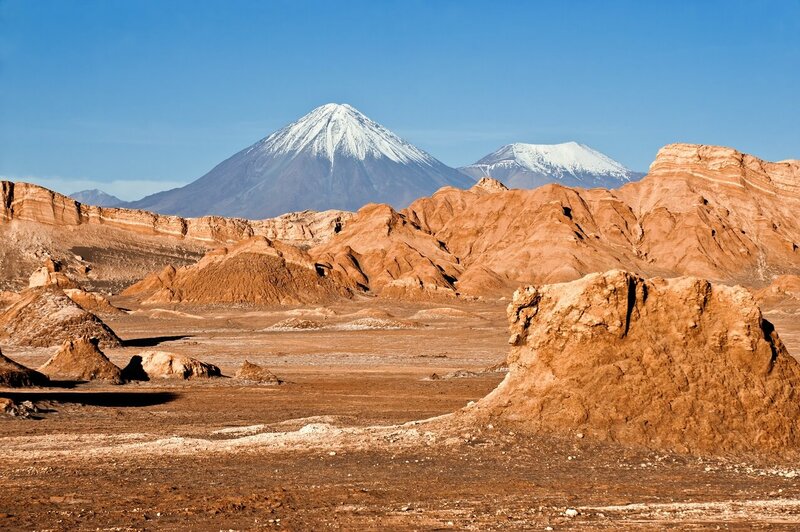 For more information about trips to the Atacama Desert and Chile, check out our holidays.